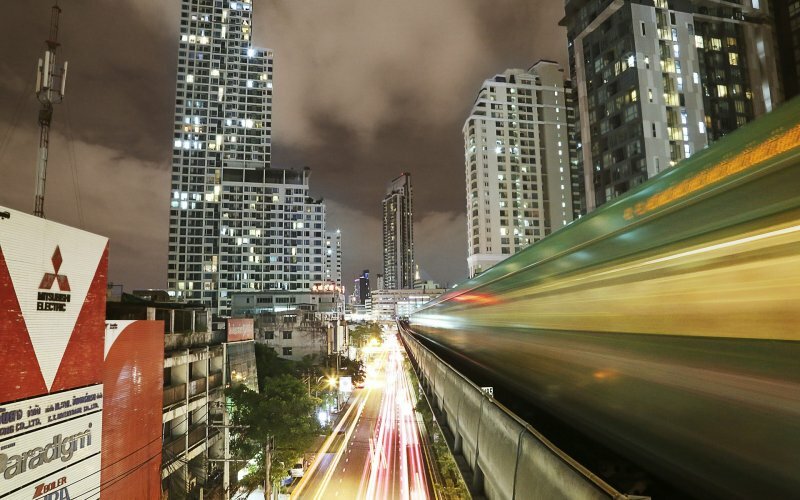 Thailand has an extensive rail network, with which you can reach virtually every corner of the country. 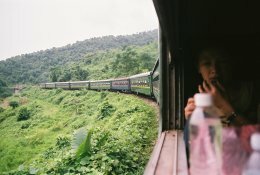 The country borders with Burma, Laos, Cambodia and Malaysia are also perfectly accessible by train. The rail network in Thailand is based on the hub in Bangkok. The main station in Bangkok is called Hua Lamphong and from here trains depart in all directions. 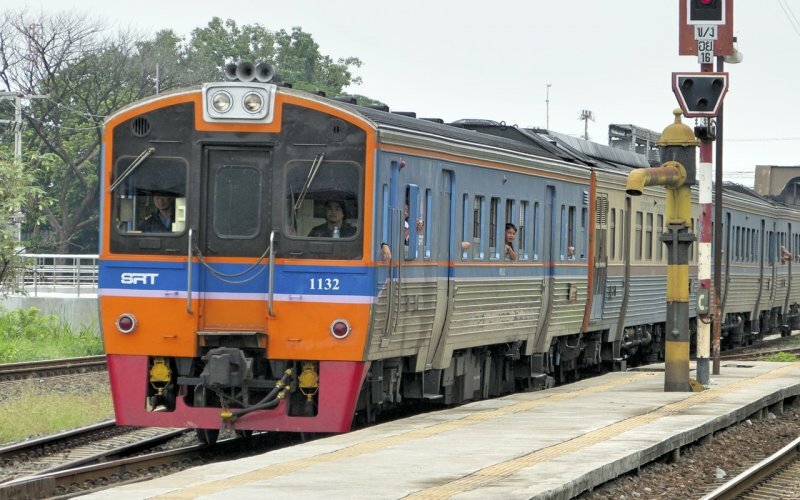 The north line towards Ayuthaya (perfect for a day trip) and Chiang Mai. The north / east line towards Udon Thani and Nong Khai. The east line towards Aranya Prathet and the south line towards Surat Thani (for Koh Samui) and the border with Malaysia. Have you arrived in Bangkok at Suvarnabhumi airport from, for example, Europe, the United States or Australia? You have taken your luggage from the band, have gone through customs and now? 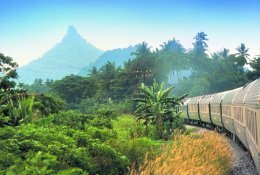 We have often traveled to South East Asia to make beautiful train trips there. 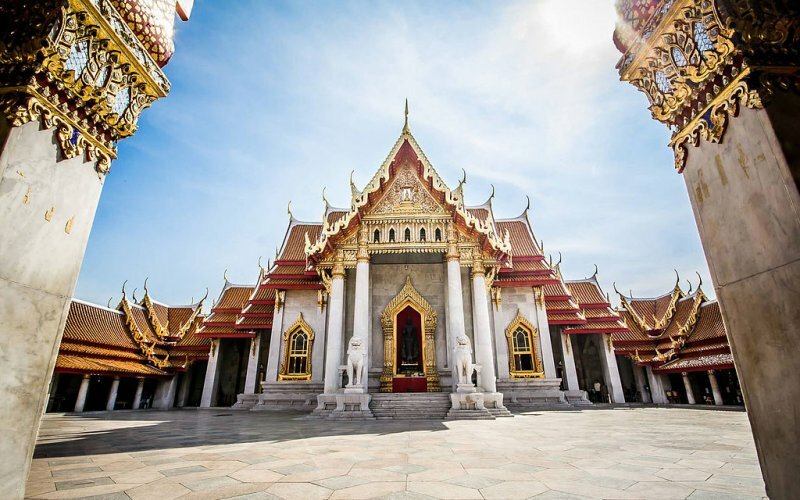 When you arrive in Bangkok, you may get a little overwhelmed by all the impressions that come to you in this gigantic city. 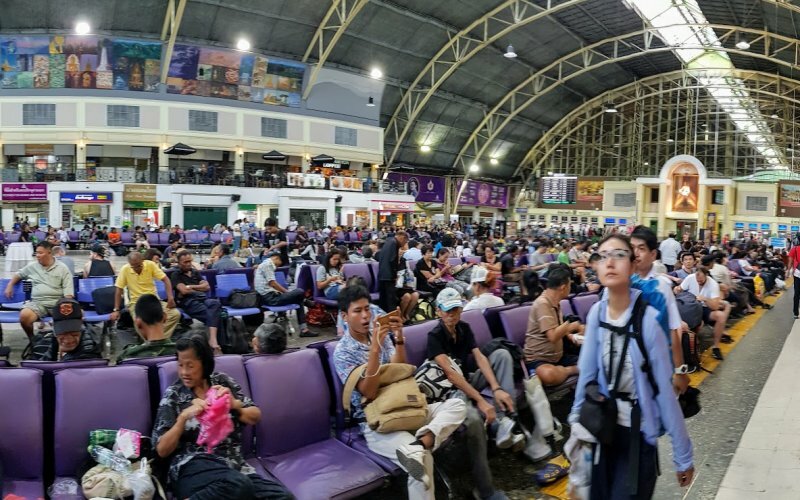 Bangkok's international airport has not been connected to the city's metro network for too long. In the past you were dependent on bus services or taxi drivers to get into the city. A taxi ride took, depending on where you had booked your accommodation in the city, an hour and a half soon. Today you travel with Airport Rail Link in 22 minutes to the public transport hub Makkasan, where you can choose to continue your journey by metro, bus, taxi or tuktuk. Tip: If you have booked a hotel in Bangkok beforehand, you would do well to pinpoint your hotel on your mobile, for example on Google Maps, and store that data there. You will never be left empty-handed if you want to arrange transport to the city. Tip 2: The currency of Thailand is the baht. Cash baht you do not necessarily have to arrange in your home country. In fact, arranging on the spot in Thailand is often a lot cheaper. If you have a credit or debit card, you can withdraw money from the ATM at the international airport. Check with your bank in advance if this is also valid for your card. 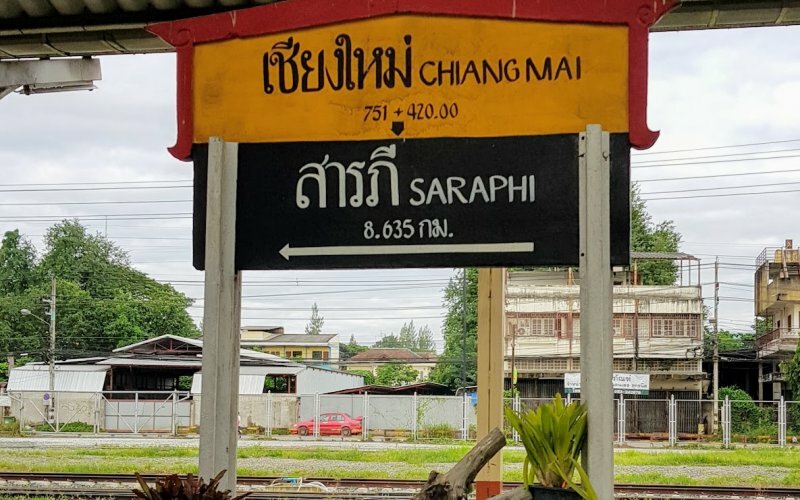 Pro tip: If you are going from Bangkok to Chiang Mai, take for example train # 9 or train # 13. These trains are composed of modern carriages. If you choose 1st class (with air conditioning), then you have a reservation in a lockable compartment for a maximum of two people. In this compartment are two beds and a washbasin and there is enough space for your backpack. 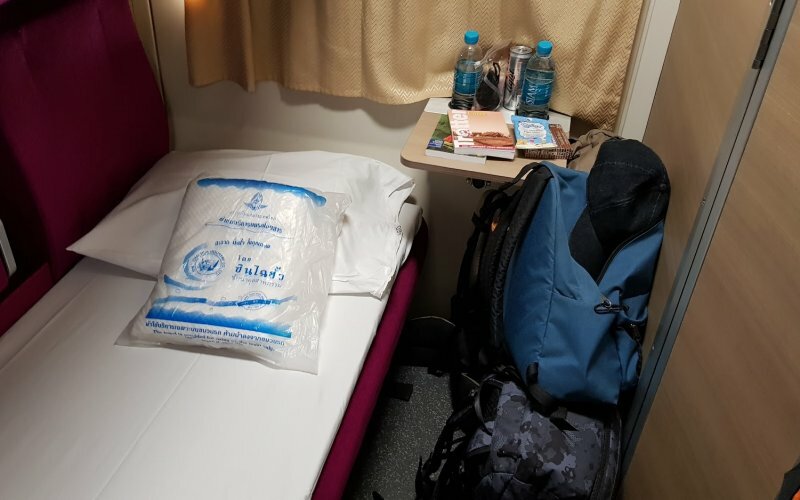 If you choose 2nd class (with air conditioning), you end up in a carriage with about 50 beds. These beds are comfortable, but privacy is limited. In most cases you can close your seat with a curtain, but that does not detract from others as a 1st class compartment does. 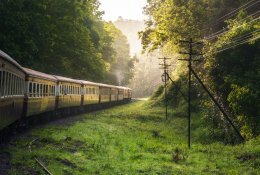 If you choose to go with these trains, you wake up in the beautiful green surroundings of Northern Thailand during sunrise. After breakfast and after the early arrival in Chiang Mai you will have plenty of choice to discover this city before you travel to for example Laos. Or you make a multi-day tour with, for example, a rental car to Chiang Rai, Tachilek and other places in Northern Thailand. Ayutthaya is just a short train ride north of Bangkok. You can best discover this city by tuktuk. With this mode of transport you travel along really impressive ruins of what once was the capital of Siam. If you are a cyclist, keep in mind the (warm) weather. Bicycles can be rented near the train station. Rail link to Laos, at Nong Khai. After crossing the Mekhong River and the border you can hop on board transport to Vientiane, the capital of Laos. Use the Eastern Line for your route to Cambodia. 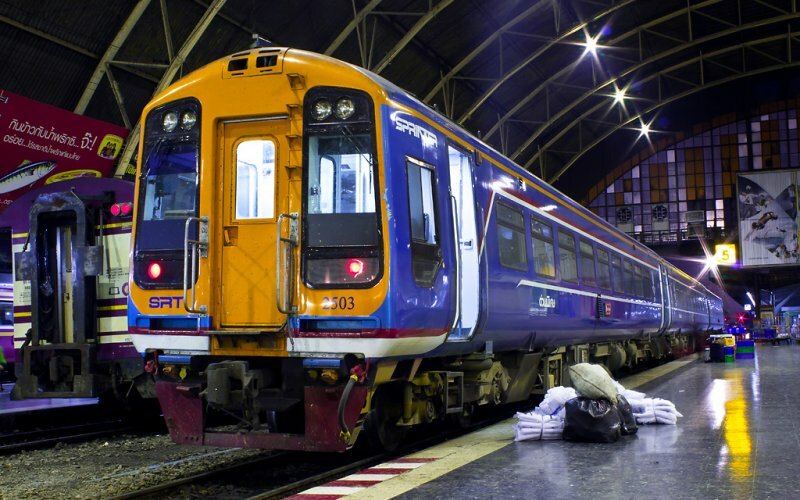 The Southern Line is very convenient for your trip to the isles of Koh Tao, Koh Pangan and Koh Samui. If you stay on board till Surat Thani, you can get a connecting ferry to these islands.